Roadside Assistance: What Is It and Why Do You Need It? Roadside Assistance is a form of protection that helps you when your car breaks down. In practice, it means that professional assistance is just a phone call away when you have problems with your car. Car batteries have an annoying habit of dying at the most inconvenient moments. When you ring your Roadside Assistance, they’ll work out whether you need a jump start or a replacement battery. Typically, a replacement battery can be brought to and installed at the place you’ve broken down; you’ll have to pay for the new battery. Roadside Assistance is incredibly handy when your car needs to be towed. There’s a limit on towing distances, so check your policy for details. There was a time when we could perform a fair amount of DIY work on a vehicle when it broke down. Today’s more complex engine systems and intricate electronics mean that it’s often better to call in a professional to assess the problem. Roadside Assistance technicians will have a look at your car and, where possible, make minor repairs. They can help jump-start your vehicle, replace fuses, repair damaged hose fittings, fit a new drive belt and perform other basic fixes. If the problem is more serious, they’ll organise a tow. There are all sorts of situations in which you might need help to change a flat tyre. These can include safety reasons, physical incapacity, or lack of experience. Roadside Assistance typically includes flat-tyre changes. If you’ve run out of fuel, Roadside Assistance can usually deliver enough to get you to the nearest petrol station (at least). There’s typically a monetary limit on the amount supplied ($15 worth, for example). This might also be called ‘emergency key service’ or something similar. It’s designed to assist you if your car key is stolen, lost or you’ve locked it in the car. The services listed above are the most common covered by Roadside Assistance products. There may be additional services offered in relation to trailers, caravans, bogged vehicles and other situations. Many providers will also include a technical hotline as part of the cover so you can get an expert to help you work out what might be wrong with the car and what your options might be. Is this Roadside Assistance available 24/7? How do I contact Roadside Assistance when I need help? What’s the limit on the number of callouts I’m allowed? Is a technical advice hotline included in the service? What are the geographical limitations of my Roadside Assistance? For example, does it apply interstate as well? What financial limits apply to the different benefits/services offered? Roadside Assistance comes with terms and conditions that clearly outline what you’ll get for your money. It’s important to read these thoroughly so you know precisely what you’re covered for. 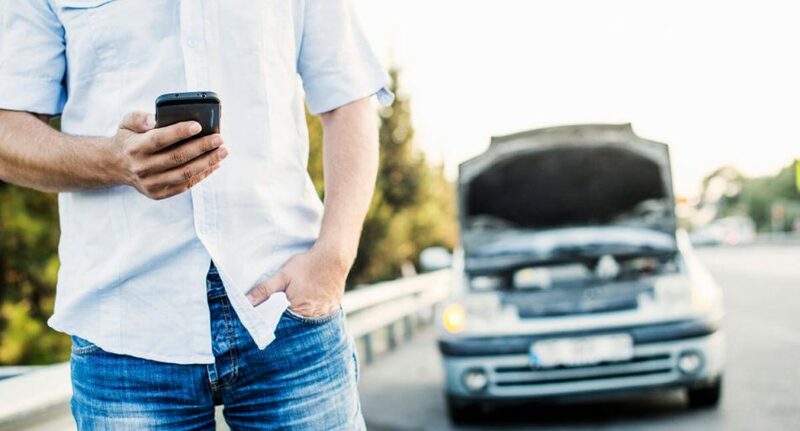 The Roadside Assistance market is highly competitive and there are plenty of online comparison sites you can check out to see how various providers stack up against each other. Otherwise, just contact the providers directly – they’ll be happy to give you a price. Roadside Assistance provides peace of mind because it can save you money, time and hassle when you get into trouble on the road.